About Molly K. Smith, M.D. Molly K. Smith MD, originally from Tampa, Florida, came to Pariser to practice general dermatology and dermatopathology. When not working in the lab, Dr. Smith enjoys treating children and adults with a wide range of skin diseases, from acne to cutaneous malignancies. She feels it is important to help educate patients, and is always more than happy to answer any questions a patient may have about their skin. In her free time, she enjoys reading, going to concerts, traveling and spending time in the Outer Banks with her husband Rick. Dr. Smith was voted “Best Dermatologist” by Hampton Roads magazine. "I feel that Dr. Molly Smith really listens to her patients. She is very easy to speak with...engaging, competent, and professional. I have recommended her to my family members and several friends!" 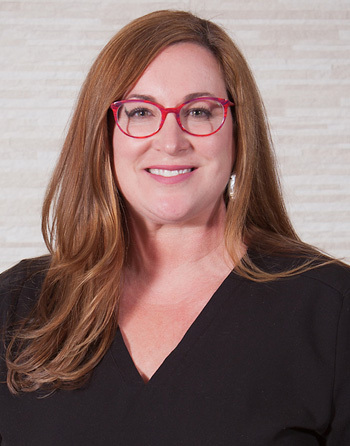 "I love Dr. Molly Smith - what a pleasure and answers ALL of my questions thoroughly!" "Dr. Smith answered more than my questions, explaining everything with great detail & knowledge. It was comforting to know she understood & cared." "Outstanding experience. Never been seen by a dermatologist before. Very friendly and professional. Made me feel relaxed. Did a procedure immediately to save my time and to ensure my health." "Dr. Smith is great and I feel fortunate to have her as my doctor."